Thank you! That’s the first thing we needed to get out. 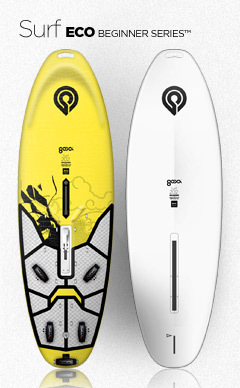 The 2012 Goya boards range is the result of what have been two incredible seasons of positive feedback. It seems like everyone has really been embracing our turn of the decade shapes and has gone the extra mile of sharing their very personal praise and thoughts. So why then is this year’s range more compact? Less diverse? Less but better? Isn’t growth the ultimate answer and indicator of success? Well, growth and success have different definitions for everybody it seems. We don’t define them by the number of board models we can manage to fit on a double spread advertising. In fact, while the plain number of models has decreased, the range of use has widened. Let’s go through the range and find out just how that holds true. The One has undergone the most dramatic change as we have developed it into an evolving series that spans from superbly agile wave boards all the way to bold freerace machines. You might call the One a brand in it’s own, but really what it is is board selection made easy. 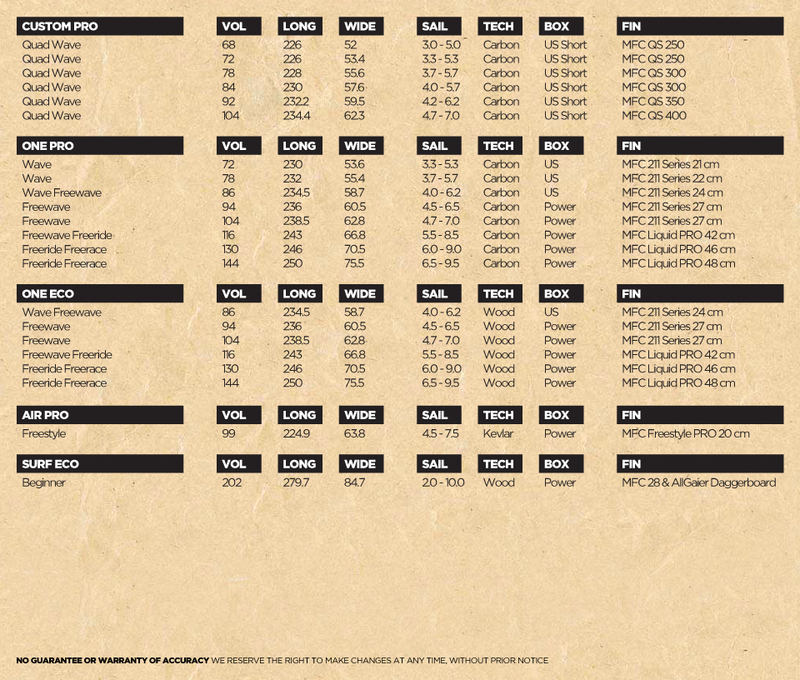 Roughly choose what conditions you’re going to be sailing in, pick the volume that suits you and just go sailing. Done. It’s really that simple. Why does it work? 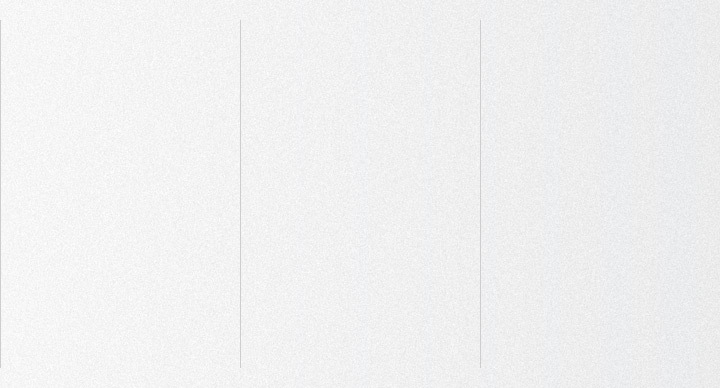 Because the boards are extremely flexible and forgiving to use. They don’t limit you to a single discipline, as boards from the past used to do. These boards are all about sponteneity and creative riding. What is there to say. The development of this board, frankly was very easy. We decided on the Freestyle volume that everybody seems to end up using, implemented our most professional Freestyle shape and, well, yes, that’s it. We hope you can keep up with it, or at least learn to match it’s potential eventually. We’re still trying. 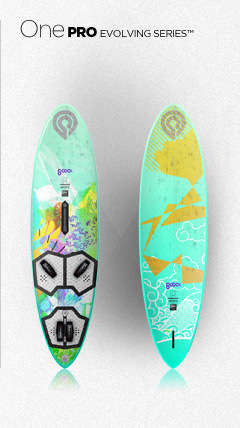 The Surf received a number of small updates and improvements for 2012, as well as a fresh look to match the new range, but hey, in the end it simply was, is and will be an instant favorite beginner board. 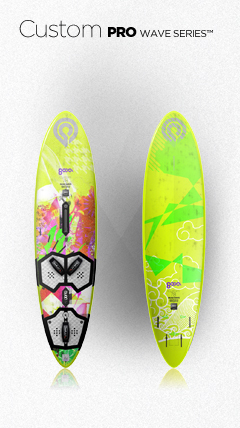 As in the past, in 2012 each board comes with an individual rocker tailored for each size and model. This concept creates the most control and quickest reaction on the smaller sized boards, and juices up the larger sizes with all the speed, early planning and power you need for the lighter winds and larger sails. The bottom shapes of our entire range seamlessly blend panel V with concaves to 1/10th of a millimeter CNC accuracy, combining ultimate speed and control. Our Compact Outlines & Volume distribution are precisely foiled in our shaping program. This brings a consistent and smooth flow to our shapes. This smooth flow allows you to feel naturally balanced from the moment you step on to any of our boards. 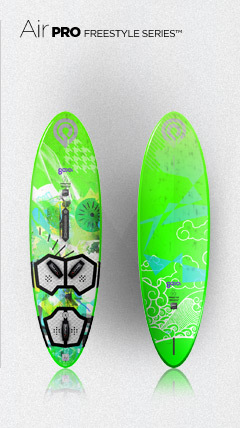 Brand new for 2012 is the carbon framework we’re implementing into the deck of the PRO wave boards. These boards feature generous carbon patching from in front of the mast track all the way into the tail, extending beneath and around the padded stance areas, connecting the impact dynamics of your body and rig in one rigid monocoque. Making the least claimed boards of the industry even one step better. 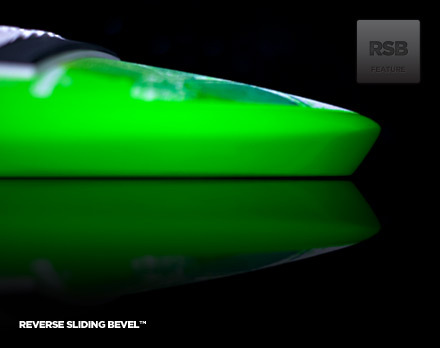 The 2012 PRO boards use Corecell™ foam to increase stiffness and reduce the weight of our boards’ composite structures. Corecell™ is the leading structural foam core material, and has become widely accepted for the construction of large, high performance structures. It is the latest in foam core technology.